Bitumens and bitumen technologies - GlobeCore Bitumen Emulsion. Bitumen is a dark or black substance. At room temperature this material is usually solid. Bitumen consists of high-molecular compounds which, at usual temperatures, have a tendency for physical intermolecular interaction. 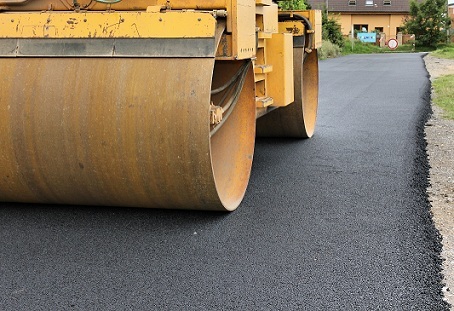 Due to its properties, bitumen is one of the most known construction materials. Bitumen technologies are successfully used as a part of roofing and waterproofing materials, in paint and varnish production, in cable industry, rubber industry, as well as for construction of buildings and structures. The main customer for bitumen and bitumen materials is road construction. Annually all over the world about 120 million tons of the substance is produced. In industrialized countries (USA, Germany, Japan, Canada, France, Great Britain, Italy) bitumen production facilities are operated at 90-96% capacity. One of the key properties of bitumen is its density. It depends on binder chemical composition. In general, the following is true: the more aromatic structures there are, the denser the bitumen. If the content of saturated compounds increases, the density conversely drops. Reference literature usually describes this parameter at 20ºС, and it amounts to 1-1.04 g/сm3. Flashpoint shows the presence of low-boiling fractions in raw material and in finished bitumen product, i.e. allows to characterize the risk of explosion and fire related to the material in the process of production and application. For bitumen and tar this parameter equals 230ºС. Viscosity allows to evaluate bitumen consistency at different temperatures. All other parameters equal, it is recommended to choose a binder with the highest viscosity at maximum application temperature. It is also necessary to check the shape of the temperature-viscosity curve, which should be as flat as possible. Specific heat capacity for different bitumen brands is almost the same. It increases with the rise of temperature, usually 0,00032-0,00078 cal/(gr×ded) of heat capacity per one degree Celsius. Bitumens are soluble in most organic solvents, except low-molecular spirits.